is a studio made up of passionate people who love nothing more than finding thoughtful and engaging solutions to our clients’ problems. It has grown into a team of talented and dedicated designers and project managers. Our structure is unique. We are the only major design studio where the owners of the business are the creators of the work and serve as the primary contact for every client. This reflects our conviction that great design cannot happen without passion, intelligence and — above all — personal commitment, and is demonstrated by our portfolio. Our mission is helping firms and individuals to implement and run their business from zero as well as grow online. We obsess about every last detail so our clients don’t have to, knowing their projects are in safe hands. We constantly strive to exceed expectations, to make sure all our work is not just good but great, while striving to ensure every project comes in on time and on budget. Our work encompasses graphics and identity, products and packaging, exhibitions, websites and digital experiences, advertising and communications. Poster design by a Graphic designer in Beirut Lebanon. Bruno Khater the founder of Design Duedate holding a master degree in Visual communication and more than 4 years of experience. Design Duedate offers print design as posters, flyers, brochures … digital design as illustration, web banners. 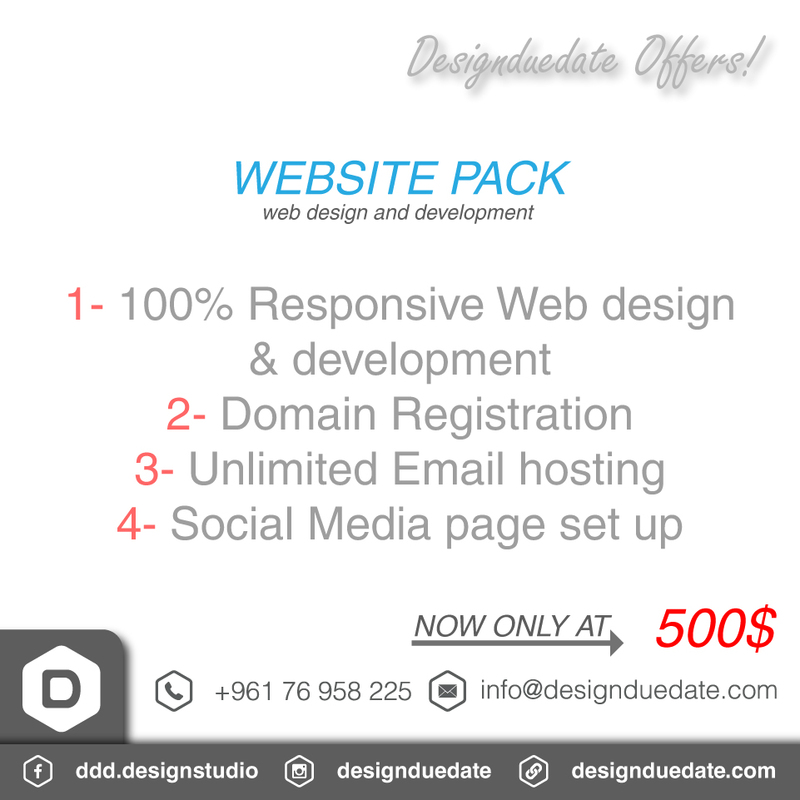 We offer as well domain hosting and web design as well as app design. Plus 2d animation.